Phyllis Phillips teaches eighth grade homeroom and religion, as well as language arts for sixth through eighth grade. She has 25 years of experience teaching. She has a Bachelor of Science degree from Towson University and a master’s equivalent. 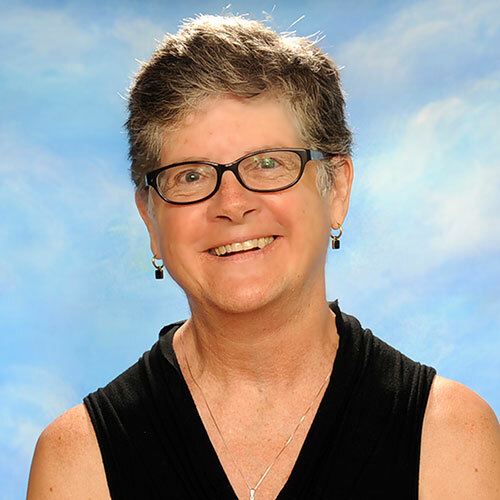 She is the recipient of The Benemerenti Medal for long-tenured commitment and service to Catholic education. Phyllis has taught at SFdS for more than 20 years and uses projects and games interspersed with traditional learning to keep students engaged. She develops strong relationships with all her students and spends extra time with students to make sure everyone understands the lessons. Viewing herself as a director and producer of activities, Phyllis relates classroom lessons to real life and uses classroom discussions to involve all students. She uses warm-ups, question and answer sessions, and formal as well as informal assessments to measure each student’s progress. 8th grade goes to Joseph House to serve lunch every 4th Wednesday of the month. Students bring in items for a meal, and four students go to serve. I will need a driver/chaperone from 9:45-12:30 every month! Mrs. Rolls is driving/chaperoning Wed., 2/27! Thank you so much! 6th, 7th & 8th vocabulary – prepare for Unit 7 spelling/vocab tests tomorrow! 6TH, 7TH & 8TH VOCABULARY – prepare for cumulative spelling/vocab tests on Units 1-6 – TOMORROW, 12/19! 8th religion – bring Secret Santa gift for sharing tomorrow, 12/21! 6th, 7th, & 8th vocabulary – complete Basic Meanings worksheet – due tomorrow, 12/11.